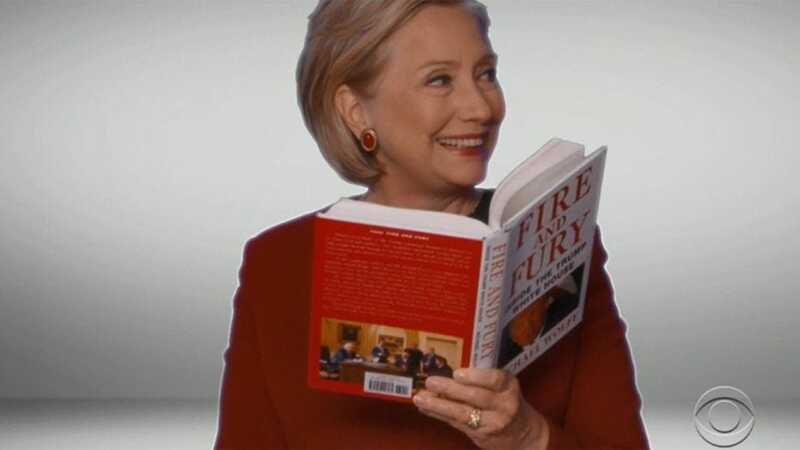 Hillary Clinton read an excerpt of Michael Wolff’s “Fire and Fury” book on the Trump administration in a skit at the Grammy Awards on Sunday. She joined artists Snoop Dogg, Cardi B, and DJ Khaled in the pre-recorded skit. Hillary Clinton made an appearance in a pre-recorded skit at the Grammy Awards that mocked President Trump. In the skit, the former Democratic presidential candidate read passages from Michael Wolff’s controversial book “Fire and Fury” on the Trump administration. Music artists like Snoop Dogg, Cardi B, and DJ Khaled also read excerpts.